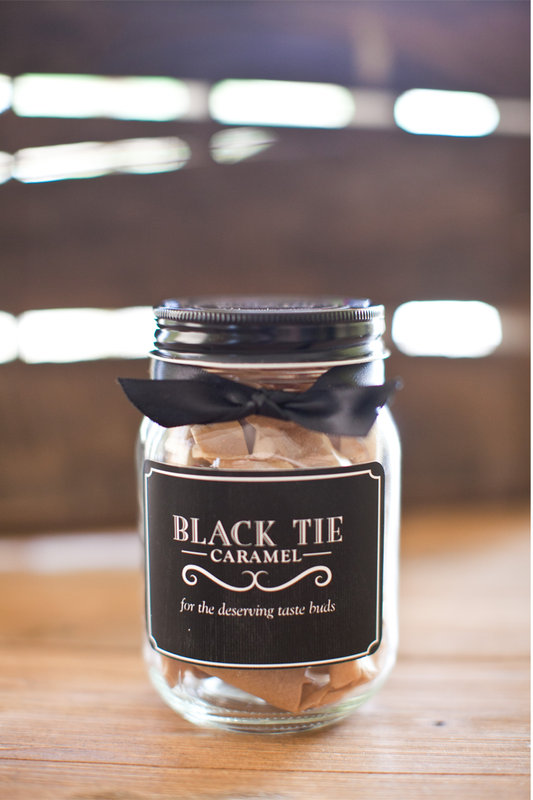 We are so thrilled to be working together with Black Tie Caramel for Hope Spoken! Yep, that's right.. you didn't think we were gonna leave you hanging without decadent sweets, did you? 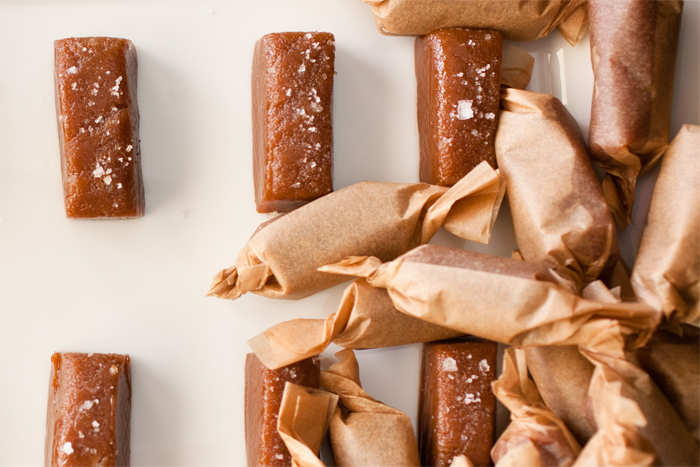 Check out this amazing shop + enter to win some Fleur de Sel Caramels for yourself! Happy Saturday! 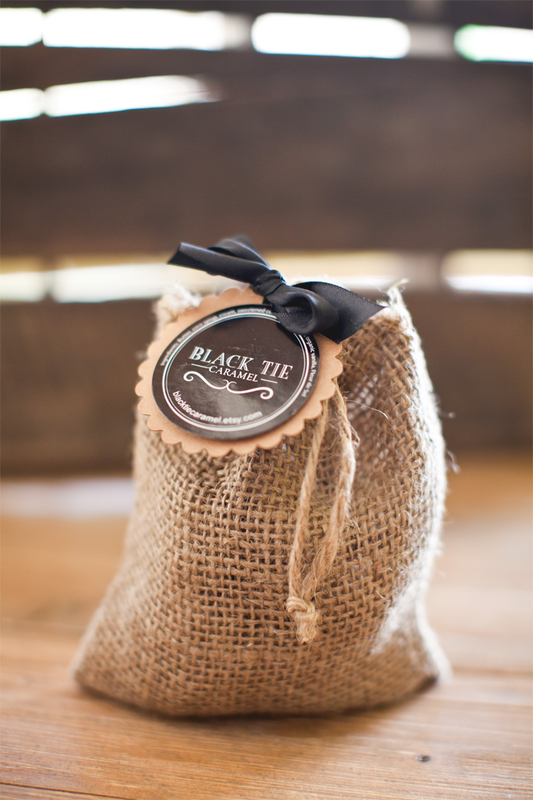 "My love for family and baking has been the driving force to the development of Black Tie Caramel. Being raised by my grandmother and her conscious habits, Black Tie Caramel is definitely inspired in every aspect by her from the recipe to the type of packaging we choose. After many years of "in the kitchen" developing and tweaking recipes, my Caramel has been of great demand by the troops. Which I call "the deserving taste buds" Black Tie Caramel is my little slice of heaven for the sweet tooth’s deserving taste buds. The sweet and savory blend of ingredients and flavors will put a "SMILE" upon your face with each and every bite of Black Tie Caramel. At Black Tie Caramel we choose only the highest quality ingredients and each order is made fresh and slow cooked in small batches to produce an unforgettable rich & creamy color, flavor & texture. We use only the freshest ingredients with no preservatives. Once the flavors hit your taste buds the initial sweet flavor of the vanilla followed by the savory sea salt gives each piece a wonderful balance of sweet and salty. 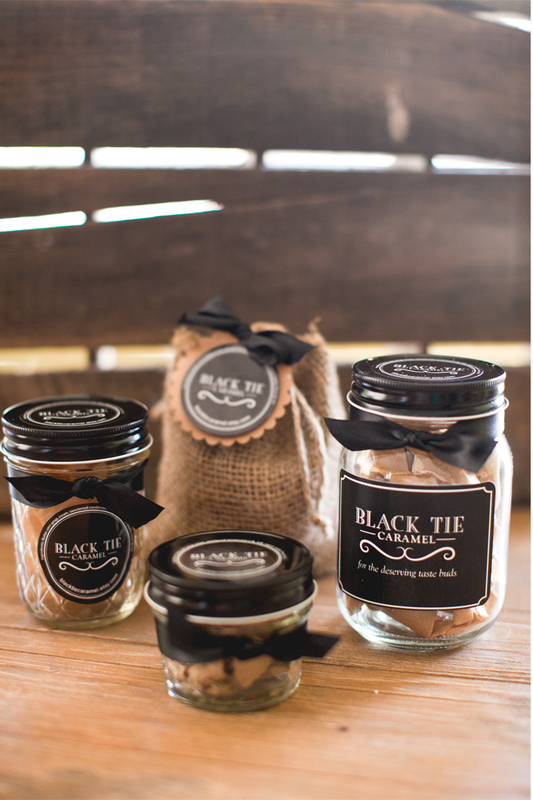 Each piece is wrapped in our eco friendly unbleached parchment paper and packaged in a choice of options, our vintage style gift jars, by the pound in our burlap sacks or one of our specialty favor designs which are perfect for any Wedding, Party, Shower or corporate event with a choice of our personalized custom tags with a wide array of colors to choose from. Wholesale pricing available upon request. Our caramels make the perfect corporate gift and favor. We can turn your business logo into a custom tag attached to delicious teasers which are the perfect marketing tool. We also offer a client retention program where you provide the clients information and we drop ship it right to their doorstep with a personalized gift card from you. A great personalized artisan gift. You can find Black Tie Caramel at local festivals, farmers markets in the Northern California area, along with monthly at the Alameda Point Antique Faire, online at our E-commerce store. Follow us on Facebook to stay up to date with our latest news and events. It is a pleasure to call you our customer and we invite you to indulge in one of our delectable caramels soon!" Use coupon code Hopespoken15 for 15% off during the month of October.